Ready to fit Back into Your Favorite Dress? It’s happened to every woman at least once. There is a wedding, a date, or a party right around the corner and you’re struggling to fit back into your favorite dress. Sometimes life gets too hectic to work out, but you still need to fit in that dress. Body shapers get uncomfortable and it still doesn’t do its job. Plus having a separate bra can bring out some bulges that weren’t there before. 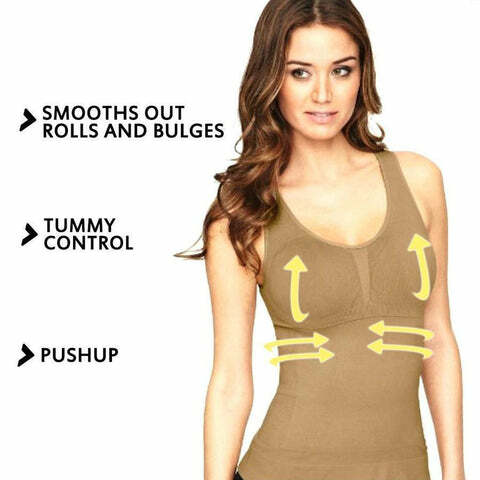 Well, this is where the Seamless Cami Shaper has you covered. Its tight design around your hips, belly and back create a smooth surface in all the right places, practically making you fall back two sizes. It’ll be a breeze fitting back into that tight dress. 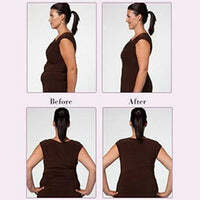 Not to mention, the padding around the bust creates a push-up effect to enhance your natural figure. So, ready to look and feel slimmer? Get your Seamless Cami Shaper NOW!